Vintage photograph of a child, sadly unidentified. Faint imprint of the studio at lower right: Chase, Foxcroft, Maine. The town of Foxcroft merged with Dover in 1922 to become Dover-Foxcroft. I'd be tempted to say the photograph predates that merger, but it's possible Chase didn't see the need to change his imprint. 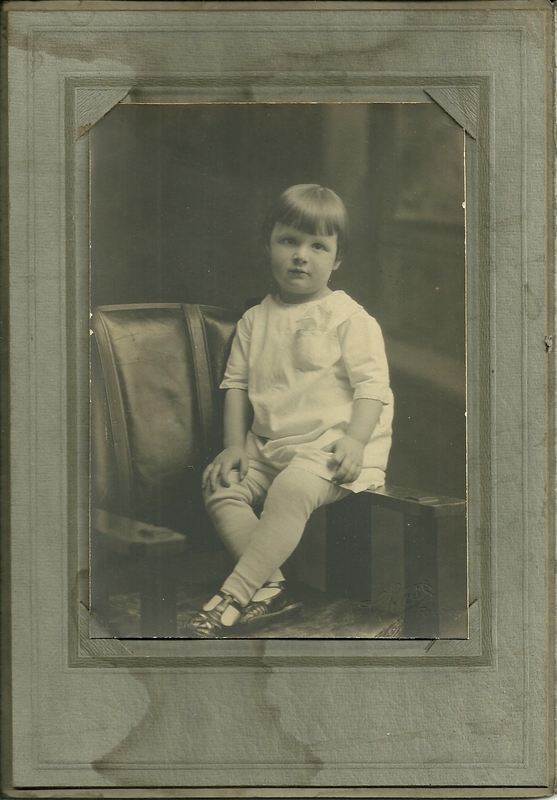 If you recognize this child from your family albums or from genealogical research, I'd welcome hearing from you.